As a long-time owner of income property in Texas we know that it can sometimes be hard to keep Humble Texas Renters especially since it’s still the beginning of the year and most leases are renewing right now. In today’s post we will provide you with three tips you can use to keep your rental units occupied, and your Humble Texas Renters happy. Most renters these days want to know that their landlords actually care about them, and are not just renting to get their money. You can keep your Humble Texas Renters happy by updating your rental units. Consider painting the inside and outside of your Humble Texas Rental Properties, replacing bathroom and kitchen sinks, improving curb appeal and adding more lighting outside. Offer your Humble Texas Renters more ways to contact you including by your mobile phone or email. Most renters won’t be calling, texting or emailing you 24-7, but they will like to have the confidence in knowing they can reach you should they have a question, concern or problem which needs to be resolved. It’s also important to consider offering your tenants the ability to pay their rents online via your website or a 3rd party payment platform so you can speed up the process of getting paid and won’t have to deal with the age old problem of collecting checks from your tenants. Last of all, you should consider offering perks to tenants who are considering renewing their leases. Some perks to consider offering are: 3-6 month gym memberships, restaurant gift cards, basic satellite TV or Wi-Fi for 6 months or free rent for one month. At Vestpro we know that sometimes you don’t have the time or energy to focus on keeping your tenants satisfied and that’s where we come in. 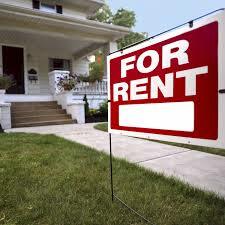 With our full suite of rental services we can help you run an efficient property management business. For more information on the Humble Texas Renters services we can offer you contact us today by calling (832) 498-0016 or click here to contact us through our website.